BMW is all set to launch the all-new 5 Series in India later this month. The new-gen 5 Series will primarily battle it out with the 2017 Mercedes-Benz E-Class that was launched earlier this year. BMW is bringing the 5 Series in the form of CKD kits, that is being assembled at its plant in Chennai. The company's dealerships have already started taking bookings for the luxury sedan for a minimum amount of Rs 2 lakh. 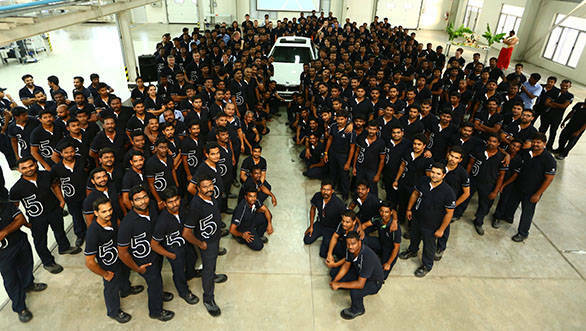 "BMW Plant Chennai takes pride in producing cars for the last ten years that have the same international quality standards as any BMW Group production and assembly facilities worldwide. Today, BMW Plant Chennai is proud to start the roll out the all-the new 5 Series with highest standards of quality, distinguished workmanship and uncompromising engineering. We are confident that the all-new BMW 5 Series produced in Chennai will further increase our momentum in the Indian luxury car segment. ", said Dr. Jochen Stallkamp, managing director, BMW plant Chennai. 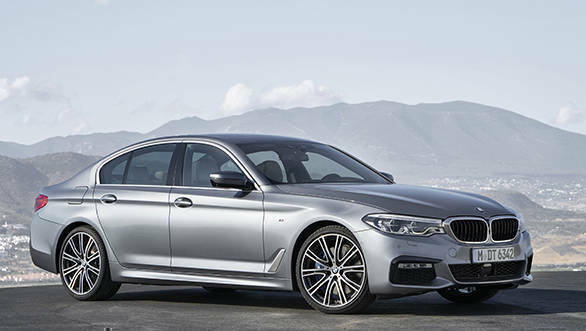 The seventh-generation BMW 5 Series gets a new design along with an enhanced list of features. More importantly, with the use of aluminium and high-strength steels, BMW has managed to shave off 100kg in the new offering. As been the current trend of the flagship offering inspiring the entire range, the new 5 Series too takes its design inspiration from the 7 Series and is based on the same CLAR (CLuster ARchitecture) platform that underpins it. It gets the familiar BMW kidney grille teamed with twin circular LED headlights flowing into the grille. Inside, BMW states that the quality of plastics and trims have been further improved. The cabin features an ebony-beige colour combination. The lower section of the dashboard, door trims and the seats are done in beige leather and lend a spacious look to the overall cabin. 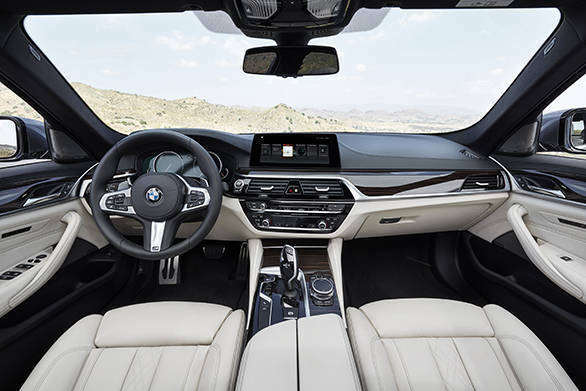 The wooden-finished veneers and the piano black surround of the central panel make the cabin of the new 5 series resemble that of the new 7 Series. 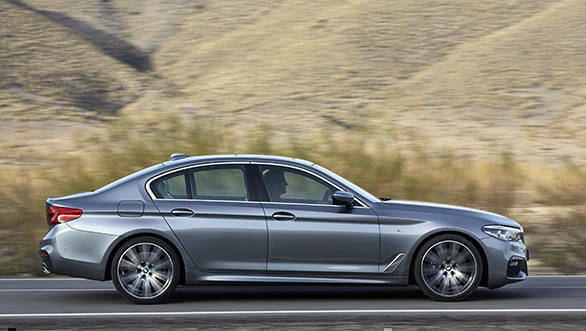 The international-spec BMW 5 Series comes with a variety of engine options. However, we believe, the one that will make it into the country is the 530d diesel. This TwinPower turbo-engine produces 620Nm from 2,000rpm to 2,500rpm and peak power is 265PS. Get all the details on performance and more in our 2017 BMW 5 Series review. The BMW plant in Chennai started operations on March 29, 2007 and locally produces the 1 Series, 3 Series, 3 Series Gran Turismo, 7 Series, X1, X3 and the X5.